Although no official statistics exist, it is safe to assume that the vast majority of whistleblower cases settle rather than end up in court litigation. Renowned whistleblower defense attorney Dr. Nick Oberheiden has handled a large number of False Claims Act (“qui tam”) cases and Civil Investigative Demands (CID) on behalf of his corporate and individual clients throughout the United States and he frequently serves as a consultant to assist other attorneys. Here are some recent case outcomes Nick achieved for his clients when defending companies or individuals in False Claims Act cases: Ask Nick for many more examples also with respect to whistleblower cases involving alleged violations of tax fraud, environmental laws or education laws or health care fraud. Call 866-Hire-Nick today! Dismissal of Whistleblower Case: Nick has assisted in large quantities of federal False Claims Act defense cases representing physicians, physician syndications, physician groups, pharmacies, toxicology laboratories, health care marketing groups, surgical device manufacturers, DME distributors, and others—all negotiated to the same outcome: No civil and no criminal liability, zero payment to the government, zero payment to plaintiffs’ lawyers, and zero payment to the relators. Ask for more details today! Dismissal of Whistleblower Case: Early intervention on behalf of client; no documents produced to the government; successful petition to the federal judge to have our client be dismissed; all other defendants (and their lawyers) were unsuccessful to get their clients out. Nick’s client was described as a key defendant and integral part of the alleged wrongdoings—nonetheless dismissed! Needless to mention: Zero civil and no criminal liability. Client is thrilled! Dismissal of Whistleblower Case: Representation of large company in an investigation orchestrated by former employees involving the FBI, the Office of Inspector General, the Department of Health and Human Services, and the U.S. Attorney’s Office; two presentations at the Department of Health and Human Services (HHS) headquarters in Washington D.C. allowed the government not to intervene and to settle the terms at less than 0.1% of what the government originally asked for. Nick negotiated a settlement agreement and a Department of Justice press release emphasizing “No admission of any civil or criminal liability.” Company continues business to this day. Dismissal of Whistleblower Case: Nick was asked to join (and take over the lead) of a defense team that failed to settle and dismiss a qui tam case that alleged wrongful billing practices. When Nick joined, the case had a history of almost four years with no results or resolution in sight. Within two weeks of studying and evaluating the case, Nick got the government to agree to settle the case at a bargain. Written confirmation from government that no criminal charges would be filed. Very happy client! Clients come to Nick to make sure that the settlement agreement with the government contains language that (1) will not allow for criminal charges; (2) will not result in a program exclusion by the Centers for Medicare and Medicaid Services (CMS); (3) will not jeopardize important insurance or consulting agreements; (4) will not force the respective medical or professional board to open a professional malpractice claim; and (5) will not otherwise unduly or unnecessary burden the settling defendant. 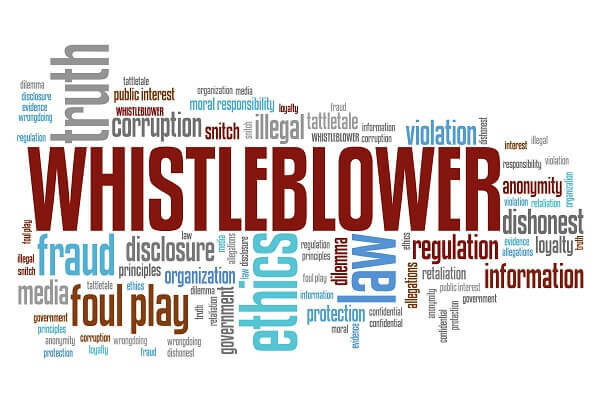 Whistleblower cases typically start with an insider (such as a disgruntled employee or a former business partner) filing a complaint, in which fraud at the physicians practice, hospital or health care business is the center allegation. The insiders, also called relators, claim to have information about instances of fraud and report them to the government under the False Claims Act, 31 U.S.C. Section 3730(b). For example, in a health care whistleblower case, relators will allege that defendant’s financial relationships either violated the Stark Law at 42 U.S.C. Sect. 1395nn or the Anti-Kickback Statute at 42 U.S.C. Section 1320a-7(b)(2) and that the defendant submitted false claims to the Medicare program. Unlike ordinary civil lawsuits, a whistleblower lawsuit (lawyers often speak of a “qui tam” case) is first filed under seal, which means that nobody will know about the existence of the lawsuit, the allegations, or the parties except for a courthouse clerk and a notified and assigned prosecutor. Health care whistleblower cases are investigated by the Office of Inspector General (OIG), the United States Department of Health and Human Services (HHS), agents and case investigators, an Assistant United States Attorney (AUSA) from the local U.S. Attorney’s Office, as well as a representative from the Civil Division of the Commercial Litigation Branch at the United States Department of Justice at the Washington D.C. headquarters. After the complaint has been filed under seal, prosecutors from the government’s civil and criminal division will review and assess the complaint. While the government is obligated to consider and investigate all complaints, more seasoned prosecutors will determine the strength of the case at first impression. Over the next couple of months, prosecutors, together with federal agents, will conduct research and ultimately decide whether or not to subpoena the targeted company or individual in an effort to get documentation such as billing records, financial statements, and corporate contracts. Such subpoena is typically the very first time that the defendant will become aware of a pending investigation. The subpoena will either be structured as a Civil Investigative Demand (CID) or appear as a subpoena issued by the Department of Health and Human Services (HHS) in connection with the Office of Inspector General (OIG). At this point in time, defense attorneys should immediately get involved to conduct an internal investigation and assist with the production, but also to begin a dialogue with the government in an effort to negotiate a resolution. The latter, the immediate case resolution approach, unfortunately, is often overlooked or neglected, but is fundamental to a successful settlement. In terms of timing, each of those stages, the review, the investigation, and the settlement negotiation can take months and in more complicated cases even years. Settlement Statutes. The headquarters of the Department of Justice in Washington D.C. prescribe federal prosecutors at U.S. Attorney Offices certain mandatory terms, terms that must be contained in any settlement with the United States government in order to find approval. While those terms include a release from any civil or administrative monetary claim under the False Claims Act (31 U.S.C. 3729-3733), the Civil Monetary Penalties Law (42 U.S.C. 1320a-7a), the Program Fraud Civil Remedies Act (31 U.S.C. 3801-3812), Stark Law (42 U.S.C. 1395nn(g)(3)(4)) and are thus a good starting point, most cases require case specific and additional language to secure appropriate client protection. Settlement Authority. One such example is to make sure that the settlement includes state agencies. Almost all whistleblower complaints claim a violation of state and federal law and thus involve a state and federal component. That means that the relator alleges fraud not just to the detriment of the United States (i.e. the federal government), but also at the cost of the state. Although the Department of Justice (representing the federal government) has no authority to settle on behalf of the Attorney General of the state government, any settlement conference should always include all government branches, whether state or federal, to expedite and simplify the whistleblower case resolution. By pursuing such unified approach, an experienced attorney can save the client time and money and can avoid a battle on multiple fronts. Reserved Claims. More specifically, each whistleblower settlement proposal contains a list of explicitly non-released but reserved claims. In the original DOJ template, these claims include liability arising under the Internal Revenue Code, administrative liability such as mandatory exclusion from federal health care programs, and criminal liability. On the latter issue, criminal liability, there has to be absolute clarity with respect to a client’s criminal exposure from the first to the last day of a qui tam defense. 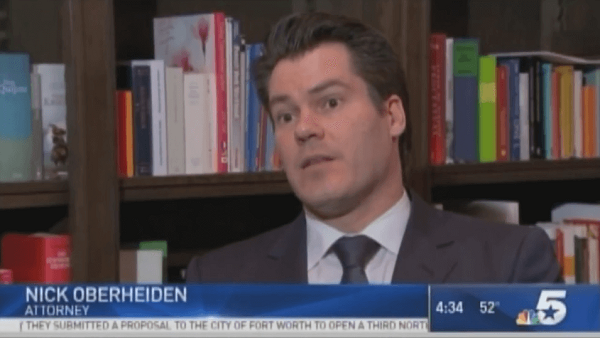 The first thing Nick Oberheiden wants to find out for his clients is whether there is a so-called parallel proceeding, i.e. whether there is a criminal investigation in addition (parallel) to the civil lawsuit. If there is, all attention must be dedicated to the criminal case to make sure that criminal charges will not be brought. Corporate Integrity Agreement. A factor not to underestimate is whether or not the government insists on a so-called Corporate Integrity Agreement (CIA). Purpose of a corporate integrity agreement is twofold: One, the former and now settling defendant will agree to be monitored by an assigned government auditor (typically within the Washington D.C. headquarters of the Office of Inspector General) to ensure future compliance with all state and federal regulations. If, for example, the FCA case was based on wrongful billing or coding, the government will likely demand an outside vendor to supervise the company’s billing operations. Two, to make such compliance easier and more transparent, the entity subject to a CIA will accept annual reporting requirements updating the government of the business’ financial and compliance affairs. If possible, the whistleblower defense attorney can convince the government to waive the need for a CIA to save the client money (e.g. for hiring outside expert consultants) and bureaucratic headaches (e.g. to follow the complex administrative reporting demands). The big mistake here to make for a defense attorney is to bring up (and quasi volunteer) a CIA when there is no need and no mentioning of it by the government or to accept terms that are simply overwhelming and impractical. Inability to Pay. False Claims Act violations, even simple ones, can quickly become existential burdens on a defendant. Given that each false claim may trigger substantial fines, an inability to pay objection may be raised to save the business from bankruptcy. Example: a health care company routinely bills the wrong code, say 500 times over a period of several years. Under the FCA, the liability in this hypothetical could quickly amount to several million dollars, not including treble damages, attorneys’ fees, and other expenses. When the settlement demand exceeds the financial means, a defense lawyer may use the inability to pay argument to negotiate the damage calculation down to a manageable amount. However, there is a dangerous flipside to this tempting approach! The government will not just blindly believe the defendant, but will request detailed financial statements and sworn statements to substantiate the lack of means objection. Auditors at the U.S. Attorney’s Office or the OIG headquarters will critically review all information to determine what amount is feasible based on the business’ financial history and current projections. Although tempting, the inability to pay argument should be handled carefully and reserved as a last resort. For one, the defendant will have to disclose virtually all business information (including potential mergers, acquisitions, bankruptcy plans, future projections). For another, the government may respond to this approach by piercing through the company veil and request information about the company owners’ personal financial records, thus extending a business liability to a personal liability. Payment Plan. The government does not like payment plans. The reason is obvious: any payment plan carries the risk of failure. The local prosecutor handling the matter and leading the settlement negotiation strongly prefers to work out a one-time full payment settlement— even if that means the government may settle at a lower rate as a five year payment plan would allow for. Because any settlement requires approval by the prosecutor’s supervisors and because payment plans are reserved for long established, financially sound, institutional defendants (like a hospital with thirty years of operational history), most prosecutors handling settlements in qui tam cases will not be too inclined to even inquire up the chains about a payment plan option. Many lawyers will tell you that they have experience with whistleblower cases. Great. Ask them how many of them they have handled, ask them how many dismissals they have obtained, ask them how many settlement negotiations they have had with federal prosecutors—and don’t forget to ask them in how many False Claims Act and whistleblower cases they were able to avoid civil AND criminal charges for their clients! Call Nick directly at 866-Hire-Nick or contact him online today.